We’ve seen our number of music documentaries over the years. We’ve even seen quite a big number of music documentaries concerning the iconic band ‘The Who‘. Showcasing their music, films, and bandmates, I thought there was nothing left to tell about ‘The Who’, but I was wrong. 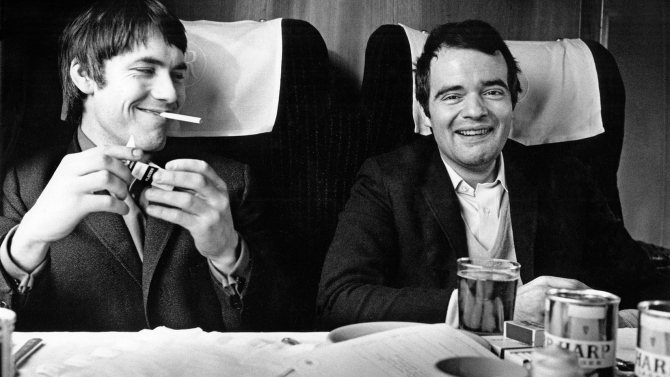 This documentary by James D. Cooper and expertly edited by Christopher Tellefsen, tells a story from a different point of view on ‘The Who‘, specifically from Kit Lambert and Chris Stamp, hence the title ‘Lambert & Stamp‘. It’s an excellent and intriguing story of two men from very different backgrounds who were responsible for ‘The Who‘. CLICK HERE TO READ THE ENTIRE REVIEW OF ‘LAMBERT AND STAMP’! This entry was posted on Thursday, May 7th, 2015 at 3:07 pm	and is filed under Film, News. You can follow any responses to this entry through the RSS 2.0 feed. You can skip to the end and leave a response. Pinging is currently not allowed.